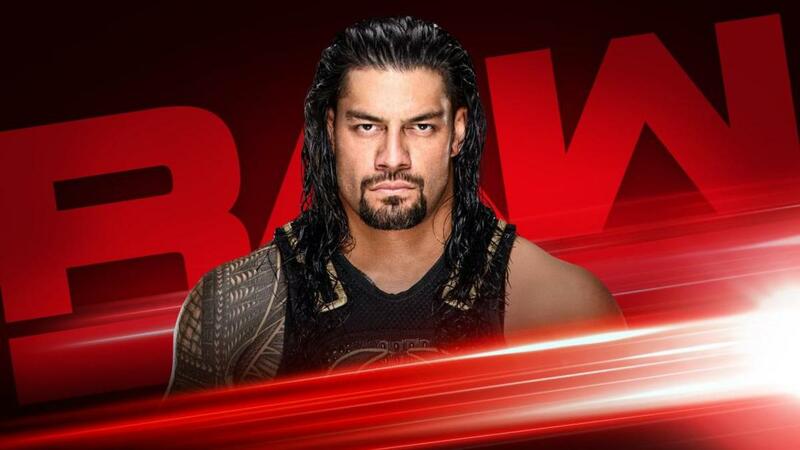 Roman Reigns is back. After announcing that he’s in remission, Reigns appeared later in the show with Seth Rollins to fight off Drew McIntyre, Bobby Lashley, Baron Corbin and Elias, who were putting a beat down on Dean Ambrose. The three Shield members never actually posed together. Ric Flair’s birthday celebration ended abruptly after he was attacked backstage by Batista, who then called out Triple H.
Also, Ronda Rousey issued an ultimatum for Vince McMahon. After Stephanie refused to reinstate Becky Lynch, who was arrested on tonight’s show, Rousey left her title belt in the ring and walked out. They aired a video package of Roman Reigns’ announcement back on October 22, 2018, including his embrace with Seth Rollins and Dean Ambrose. Reigns came out to a huge ovation. Reigns wore a tank top with his logo and the words “We Fight. We Overcome. We Believe.” Reigns seemed overwhelmed just walking down the ramp as people chanted his name. Reigns went down the ramp and around ringside shaking hands with fans. Reigns also hugged a few people in the audience including his mother and Ata Johnson. Reigns said he missed the fans and there was no other fanbase like them. The fans chanted “this is your yard,” and he responded, “this is our yard.” Reigns said he was a man of faith and always knew god would look out for him, but he had to admit, he was scared back in October. He didn’t know if he wanted to share the news with the world. The crowd chanted for him again. He couldn’t believe how many fans reached out to him in any way that they could and was overwhelmed by it. He said so many people prayed for him that god’s voicemail must’ve been full. He said all the support gave him strength, new life and a new purpose. He said it was important to young wrestlers to win titles and climb the ladder, but he was grateful just to get in the ring and would use his platform to support those in need, just like he was. “The good news is: I’m in remission, y’all.” The crowd erupted in cheers as Reigns smiled. The crowd chanted “welcome back.” Reigns thanked the fans again. They played his music as the announcers plugged a few things for the show later tonight. They focused back on Reigns who went around ringside again back to his mother. As Reigns took a few pictures with fans, Seth Rollins’ music hit and he embraced Reigns on the stage. They posed for the crowd. This was pretty incredible. They aired quick video packages for Black and Ricochet during their entrances. The chyrons during their entrances still list them as being from NXT. Revival attacked them before the match, but Ricochet fought them off, then Ricochet and Black each hit dives. The match started during a break. Ricochet fought out of a headlock and made a tag to Black, who ran wild on Dash Wilder with kicks and springboard moonsault. Scott Dawson made a blind tag and eventually caught him with a DDT for two. Bobby Roode and Chad Gable were shown watching the match (at a relatively normal angle) and the announcers acknowledged that there are no more automatic rematches for former champions. Ricochet took out Wilder outside the ring with a moonsault off the turnbuckle, then Black caught Dawson with Black Mass for the pinfall win. Quick match. The crowd was happy. Charly Caruso asked Baron Corbin about him making light of Reigns’ leukemia back in October and wondered how he would react if he saw Reigns. Corbin tried to downplay it and said he was stressed out at the time. He said nobody, not even Reigns, could understand what he was going through. He hoped that for Reigns’ sake, they don’t cross paths. Shawn Michaels, wearing an NXT hat, was shown backstage talking to Dasha Fuentes and he was embraced by Johnny Gargano. They showed Tweets from Trish Stratus, Vince McMahon, Todd Gurley, ESPN, and Triple H wishing Ric Flair a happy birthday. There was also a video from Snoop Dogg. Ambrose was in a festive mood and wanted a rematch against Drew McIntyre, this time in a no disqualification match. Elias began playing and Ambrose asked if he was trying to play him off the stage. Elias called Atlanta a fascinating place that was good enough to host the Super Bowl but never win it. Ambrose asked why he was in such a bad mood. Ambrose said he was a big fan of Elias and wanted a song request and ran down a few song titles. Ambrose then asked for “Dirty Deeds.” Elias knew what was up and tried to attack with his guitar, but Ambrose ducked and laid him out with Dirty Deeds. The crowd liked Ambrose. Ricky Steamboat was shown talking to Fuentes backstage, presumably for a web interview. Rousey received a mixed reaction on the way out and when she tagged in for the first time. After a break, Natalya fought out of a modified Cloverleaf and made the hot tag to Rousey who fought off both opponents, then knocked Morgan off the apron. Rousey hit a flying knee (not really) on Logan but Ruby (barely) broke up the cover. Natalya took out Ruby on the outside, then Rousey hit Logan with Piper’s Pit. She set up for the armbar when Becky Lynch showed up in the crowd, using a crutch. Lynch knocked down Natalya and hit her with the crutch for the DQ. Rousey confronted Lynch and they brawled for a moment until they were separated by security and officials. Rousey took out a couple of officials as Lynch was held back by Fit Finlay and Jamie Noble. Cops showed up and pulled Lynch away as Rousey tried fighting off officials. The crowd chanted for Lynch as the cops took her away. After a break, Natalya was being helped up the ramp by Rousey and officials. Rousey then grabbed her title belt and marched to the ring. She wanted to end this now and called out Vince McMahon. Stephanie McMahon came out instead. Rousey figured Vince sent her out there, then asked her to reinstate Lynch. Stephanie said she just saw Lynch get arrested and loaded into a police car. Rousey didn’t care and wanted her reinstated. Stephanie said it wasn’t that easy and reiterated that Rousey's opponent at Mania was Charlotte Flair, which was booed. Stephanie said she didn’t want this either, but this was Lynch’s fault. “Becky Lynch did this to Becky Lynch.” She said instead of being on the road to WrestleMania, Lynch was on the road to jail. Rousey wanted Lynch and the fans wanted it too. Rousey said even the “gingered douche in cuffs” wanted it. Rousey said she would represent the title as long as it represented the best, but it doesn’t represent that if she’s just defending it against their chosen one. She also made a comment about not even liking the way the belt looks. Rousey said it was time for them to make the tough decision and the right decision. She dropped the title belt at Stephanie’s feet and left. Rousey’s clunky promo aside, I thought this was good. Steve Austin had a video birthday message for Ric Flair and called him the greatest ever. Backstage, Stephanie had the Women’s title and looked stunned as she walked with Triple H.
Jinder Mahal was in the ring with the Singh Brothers and wondered why they were celebrating Flair and wondered what he ever did. He was also upset that he wasn’t invited to the party. Mahal said he issued a challenge to anyone who was invited to that party. Angle was immediately distracted by the Singhs and Mahal caught him with a boot for two. Angle fought out of a rest hold and hit a German suplex. Angle followed with triple Germans, then knocked the Singhs off the apron. Angle then slipped out of Khallas attempt and applied an ankle lock for the submission win. Angle killed both Singh brothers with suplexes afterwards. Alexa Bliss started by saying bye to Rousey and hoped the red carpet that WWE rolled out for her didn’t hit her on the way out. Bliss also offered to take her spot. Bliss then introduced Finn Bálor, who came out in his gear (and leather jacket). Corey Graves acted surprised that Bálor was the guest, even though they announced this ahead of time. Bliss congratulated him on beating both Bobby Lashley and Lio Rush to win the IC title. She said there was just one problem, the belt covers his abs. Bálor asked if she was trying to make him blush. Bliss said, “you show me your abs, and I’ll show you…” Rush interrupted. Rush said this talk show was a sham and Bálor didn’t deserve to be champion, Lashley did. Bálor welcomed Lashley to fight him. Rush said Lashley was busy preparing for Braun Strowman, so he was out there to take the belt. Bálor twisted his words and asked if he was trying to prove he was better than Lashley by beating him. They showed more birthday Tweets for Ric Flair, and a video from Maria Menounos. Titus O’Neil was shown being interviewed backstage when he was approached by Sting (no face paint), who was cheered. Rush caught Bálor with consecutive suicide dives but Bálor got his knees up on a frog splash attempt. Bálor came up limping after this, favouring his left knee. Bálor came back with chops and a slingblade, but Rush dropkicked him in the left leg. Rush worked over the leg but Bálor fought back and hit an enziguri. Rush came back with a spinning kick for two. Bálor avoided a moonsault and caught Rush with a clothesline. Bálor went up for Coup de Grace but Rush knocked him down and kicked away at his leg. Rush went for a springboard stunner but Bálor caught him with a 1916 and Coup de Grace for the win. Michael Cole called this a “gutsy win” for Bálor. Backstage, the Ascension confronted Tucker. They wondered where Otis was and figured he must be dumpster diving for cheeseburgers. They called him a pig and made a crack about him not having a neck. Tucker warned them to watch what they say about his little brother because even though he may not be as educated as them, he is sensitive. Otis showed up and Tucker repeated everything Ascension said about him. Otis was displeased and shoved both Konnor and Viktor into some equipment boxes. They aired clips of Reigns’ announcement from earlier and showed headlines from various media outlets covering the story. Backstage, Lashley was pissed at Rush because Rush was supposed to get him a title match, but got one for himself instead--and lost again. Lashley wondered if he could trust him. Rush said yes. The match didn’t happen. Lashley attacked Strowman before it could start. The referee tried to stop him and eventually left the ring. Strowman countered a spinebuster and fought off Lashley. He eventually ran over both Lashley and Rush on the outside with running shoulder tackles. Rush was somehow not killed. Lashley was back to his feet as Strowman posed on the ramp. Backstage, Caruso interviewed Rollins who promised to beat Brock Lesnar at Mania. He was also thrilled about Reigns and was ready to celebrate. He figured Reigns must have a cold beverage waiting for him, so it was time to burn it down--in a different way. Ambrose wrestled in light blue jeans. They brawled on the outside briefly before the match officially began in the ring. Ambrose yanked off his belt, revealing he was actually wearing two belts. Renee Young made sure to point this out. McIntyre knocked him down, grabbed the belt and whipped him with it a handful of times. Ambrose fought back and tried a suicide dive, but McIntyre caught him, drove him into the barricade and hit an overhead suplex. After a break, McIntyre was on the outside and Ambrose leaped off the top of the post and hit an axe handle. Ambrose tossed him into the steps, then hit a neckbreaker in the ring for two. Ambrose grabbed the belt and whipped McIntyre about a dozen times, but McIntyre caught him with a headbutt. McIntyre tried to use the steps, but Ambrose kicked his leg out of his leg and McIntyre fell into the steps. Ambrose rammed McIntyre’s head into the steps when Elias showed up and smashed a guitar over his back. McIntyre then nailed Ambrose with a Claymore kick in the ring for the pinfall win. Baron Corbin’s music hit and he marched out with Bobby Lashley. They joined McIntyre and Elias in putting a beat-down on Ambrose. Seth Rollins came out with a steel chair. Roman Reigns followed. Reigns gave Lashley a superman punch, then another to McIntyre. Rollins took out Corbin and Elias with the chair. Reigns gave Lashley a superman punch, then Rollins stomped Elias. Reigns psyched up and nailed McIntyre with a spear. Reigns and Rollins smiled at each other, then left the ring. Ambrose crawled toward the middle of the ring as Rollins and Reigns stopped to look back at him from the stage. Ambrose got on one knee, looked up at them and smirked. The announcers congratulated Paige and The Rock on Fighting With My Family. Jax was in control until Bayley used a jawbreaker. Bayley followed with forearms and a dropkick, but Jax caught her, hung her in the tree of woe and used a running hip attack. Banks went to check on Bayley, so Jax grabbed her by the head. Bayley used a running knee on Jax, then Banks avoided a charge by Tamina, who crashed into the steps. Bayley then nailed Jax with a diving elbow drop for the pinfall win. The ring was dressed up and most of the roster was standing on the stage. Triple H and Stephanie entered and the roster parted for them. Strowman, Rollins and Bálor applauded them. Stephanie McMahon introduced Shawn Michaels. She then introduced Ricky Steamboat, who “chopped” a few members of the roster, and almost chopped Dana Brooke. Rollins fell to one knee after getting chopped. Angle came out next, followed by Sting. The roster applauded Sting who shook hands with Bobby Roode and No Way Jose. They aired a video package for Flair. Stephanie called Flair the GOAT and revealed a new, custom-made “WWE” World Championship title belt (in the style of the big gold belt). Triple H introduced Flair and his music played. However, Flair didn’t show. They cut to the back where a big dude was dragging around a cameraman. It was Batista. The crowd popped when they realized who it was. Triple H sprinted to the back and found Flair, who was being tended to by officials. Triple H yelled for a doctor as they went off the air promptly at 11:00pm. I liked the final angle a lot and this was the best Raw show in quite a while. The timing of the final segment was perhaps a giveaway that we weren’t getting an actual party, but that’s not a big deal.